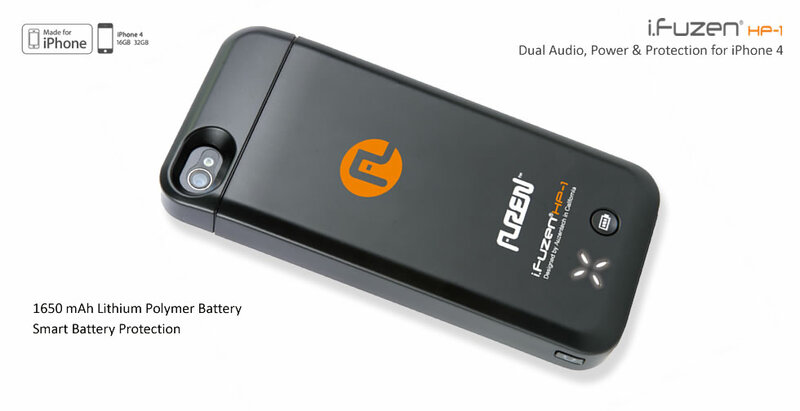 Auzentech released an interesting protective case for the Apple’s iPhone 4. 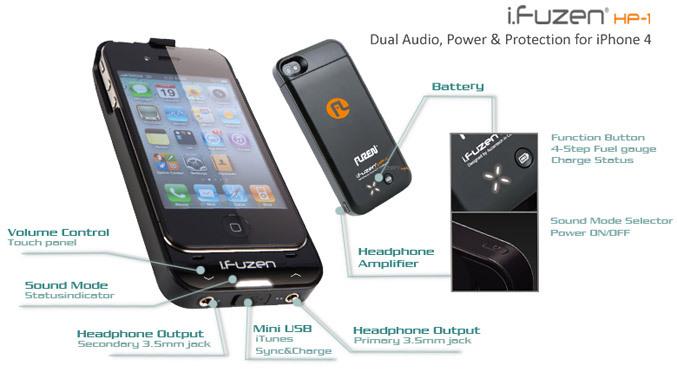 The i.Fuzen HP-1 includes three functions in one device – it gives your iPhone 4 nearly double battery life via its integrated 1650 mAh rechargeable lithium polymer battery with Smart protection circuit, which means more talk, surf, watch, and play time, also has proprietary Dual Headphone Amp which boosts audio volume and offers two headphone jacks to share your listening with your friends, and of course acts also and as a protective case for your phone. 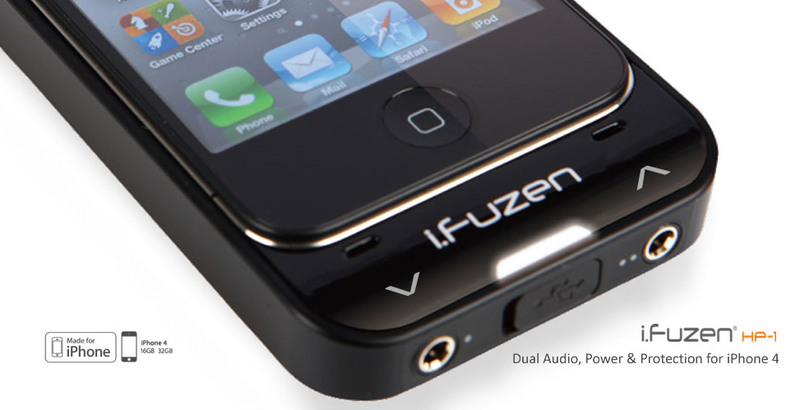 The i.Fuzen HP-1 measures 62.7mm(W)×133.4mm(H)×15.3mm(D), also has 4-Steps LED battery life meter and battery life check button. 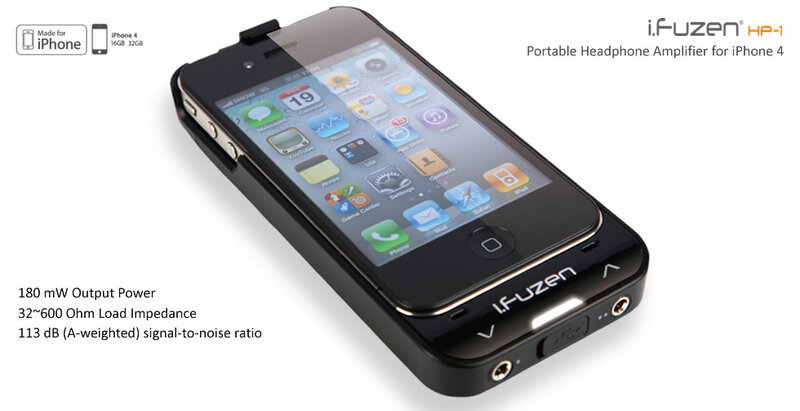 It offers touch panel volume control, sound mode, selector button & Status Indicator, supports USB pass through, iTunes Sync and its headphone amplifier boasts 180mW output power with 32 ~ 600Ohm Load impedance and 113dB(A-weighted) Signal to noise ratio. 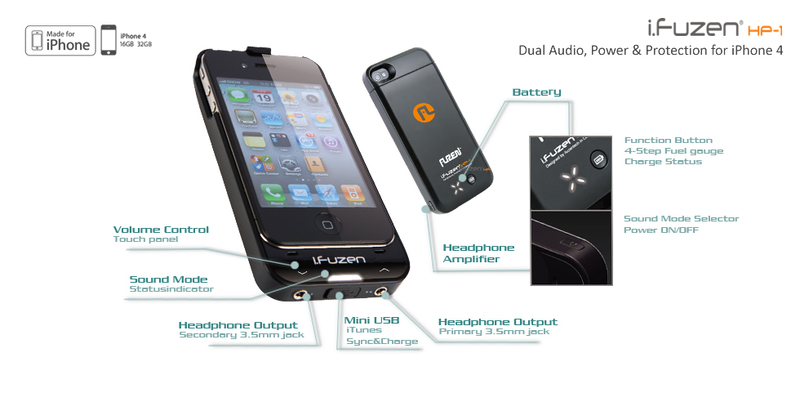 The Auzen i.Fuzen HP-1 is compatible with both AT&T and Verizon versions of iPhone 4 and is up-for pre-order now for $129.99 and start shipping in the first week of April 2011.